Enjoy toast or bagels each morning for breakfast in super cute style with this 2-slice wide slot toaster. 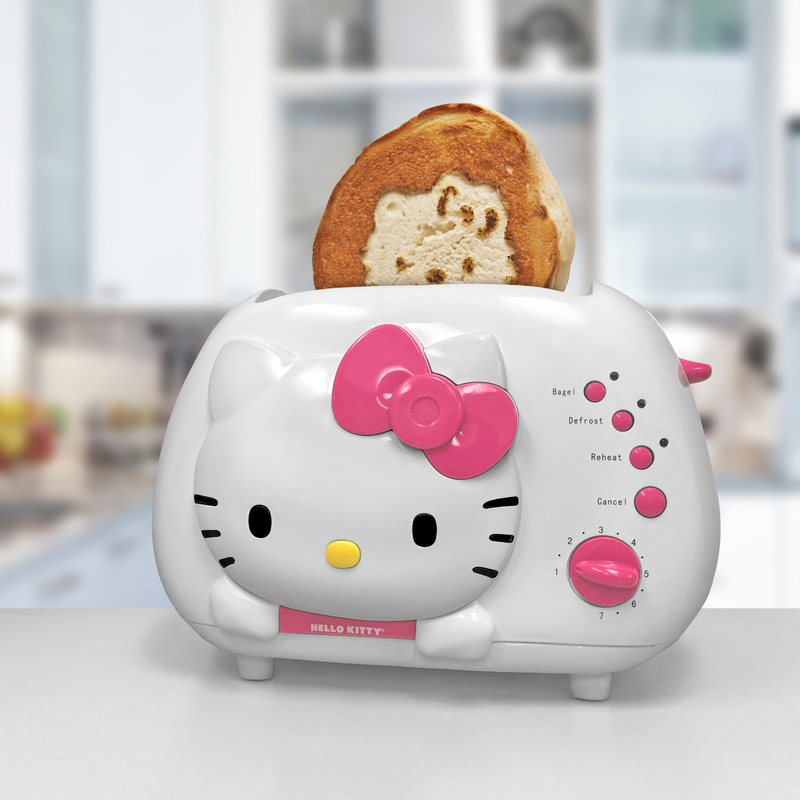 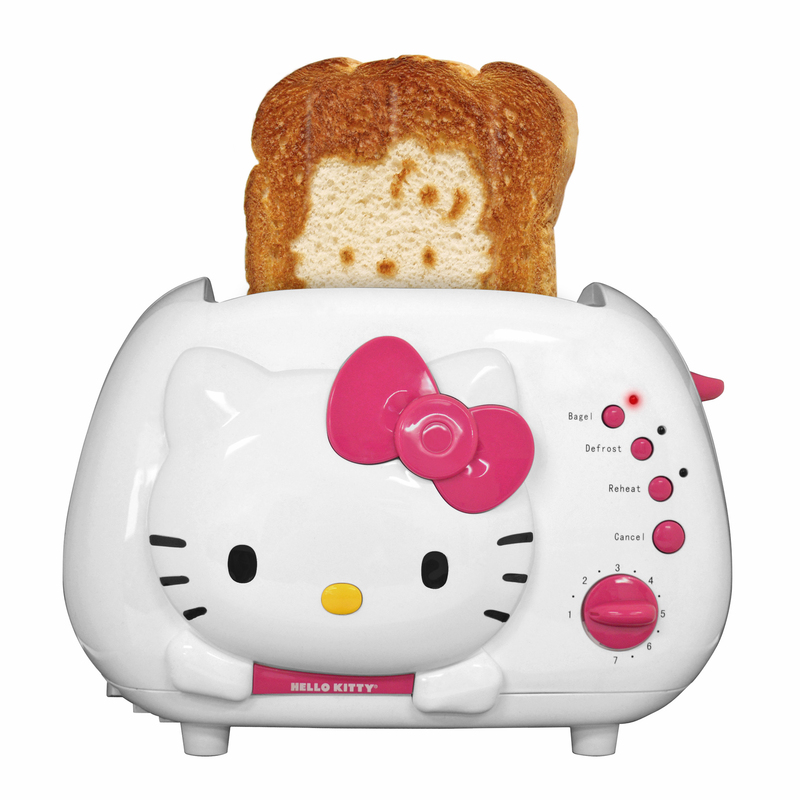 Your family is sure to be delighted with yummy toast adorned with an awesome Hello Kitty face on every slice. 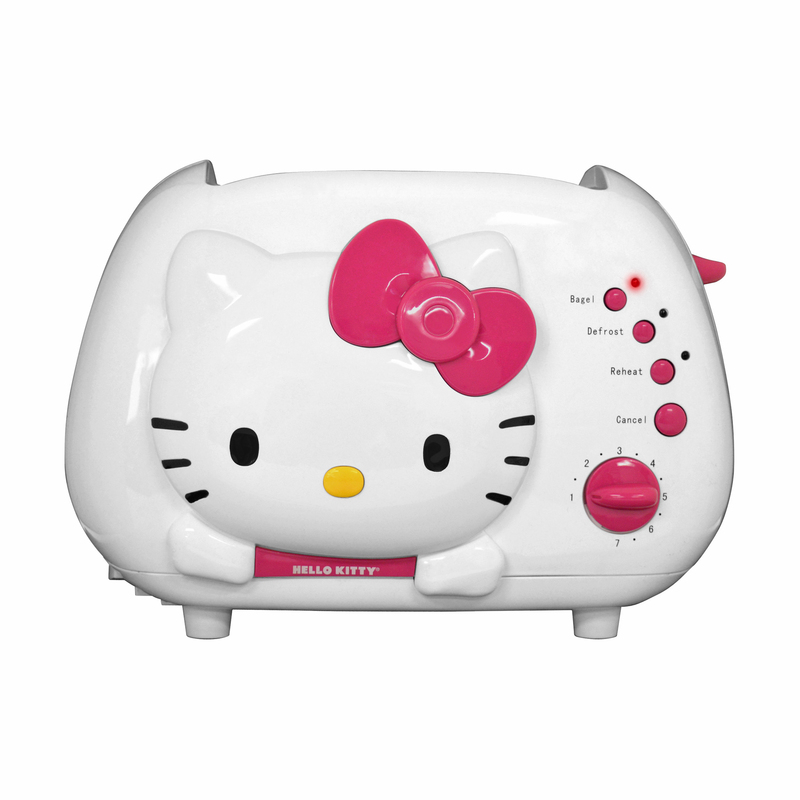 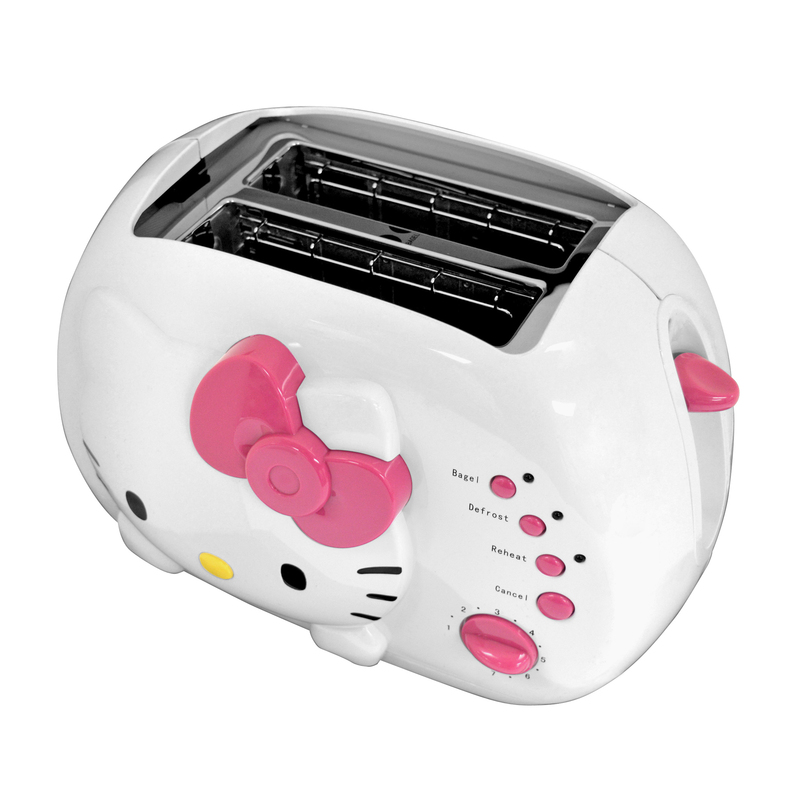 This cool touch toaster has a one-of-a-kind raised design Hello Kitty face with her signature bow and function buttons in neon pink. 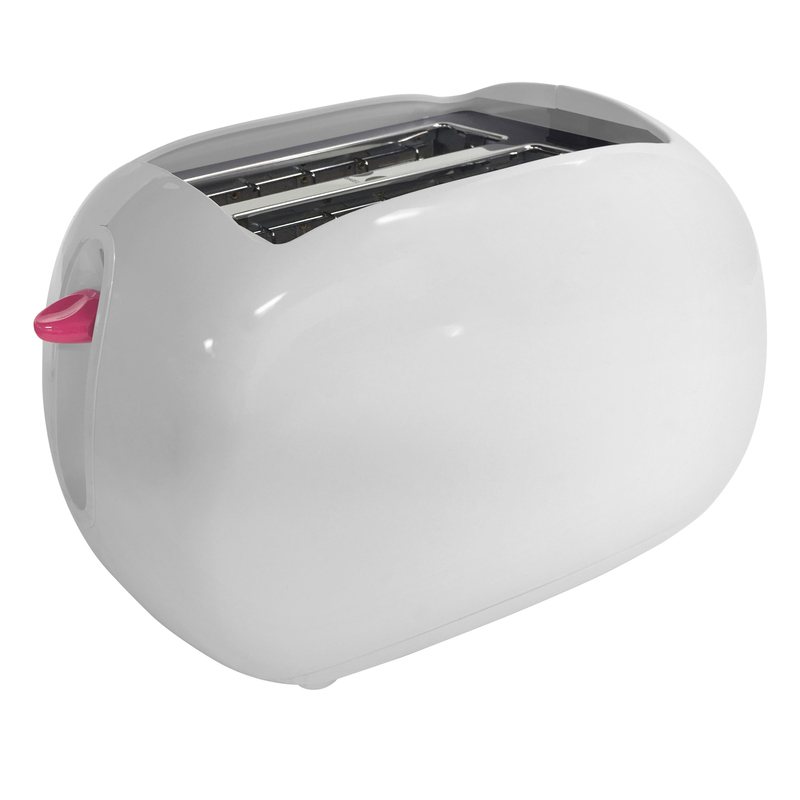 This item is sure to add a fun and playful touch to any kitchen décor.